What a great practice this morning! It was busy and warm. The energy was high, which is always a good motivator. I was proud of myself for getting up despite being exhausted this morning. I made it to practice with enough time to relax and do my practice without stressing. Everything felt a little tight and squeaky but I gradually worked the rust out. I wonder if utthita hasta padangusthasana will ever get easier for me? I am working on less build up, just getting right into, which is helping because I don’t have time to psych myself out. My right knee is sore this week, but I’m trying to carefully work through it. The seated half-lotus postures are manageable. My jump backs from supta kurmasana and bhujapidasana are improving all the time. I felt like I’d lost them a bit last week, but this week they’re stronger than ever. I got a good assist in supta k today, which is always nice, but I do wonder how I’m ever going to bind my hands with my thighs as large as they are. I’ve all but given up on getting my hands through in garbha pindasana. I feel like it’s just going to injure my knee, and there really just isn’t space in there! I think all my second series poses are going great. I had a good pasasana today, and I think I was able to get back into my heels a little more. I got some help with the transition back, which is super difficult for me because my core isn’t strong enough yet to lift up from a squat with my knees at my chest. I tried it a few times and only smacked my chin off the floor once. Bhekasana is a challenge. Sweaty hands and tight psoas make it hard, but also it’s just an awkward position to get into. I got an assist in it, then I did the two sides separately for some extra stretching. By the time I get to dhanurasana I’m dripping lots of sweat. I had awesome back bends today, besides the heels still coming up. Drop backs felt great and standing was solid. My assisted drop back was great. He held my knees in with his, and I got such a nice stretch through the front of my hips. 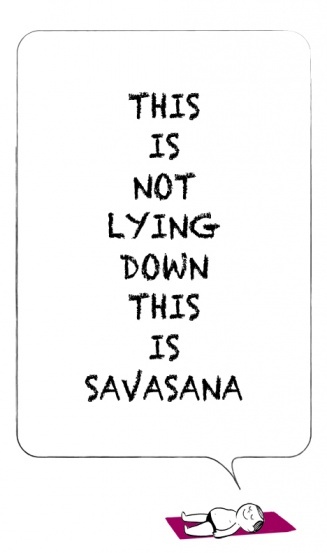 I cruised through closing and was so happy to take savasana. I’m tired at that end of practice these days. It’s a nice tired feeling. I know I’m working hard and now that I’m getting into intermediate, my practice is getting longer. It’s only going to get harder as I add more poses and the back bending series coming up is challenging. I guess my stamina will increase and I’ll be able to do it. Plus, warmer weather is coming and that means I’ll be biking to/from work/practice and will generally be more active, which will be beneficial to my practice as well. I’m very happy with my practice right now and with the progress I’m making in the asanas. It’s a good feeling.